In a world of “Gurus” and “Consultants” it is sometimes hard to see through the fog and obtain some good solid information. Sure the blogs and forums are out there but sometimes a nice paper book at your desk is what you really need. 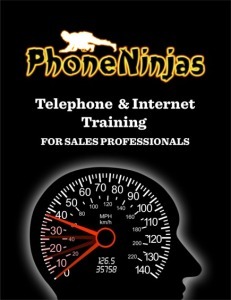 Phone Ninjas put out a great 80 page in depth Phone and Internet training manual for car dealers. Jerry was kind enough to send me a copy to review. After a few nights on the Ipad, I bombed through Jerry Thibeau’s latest manual that should be considered the “Bible for Car Sales”. 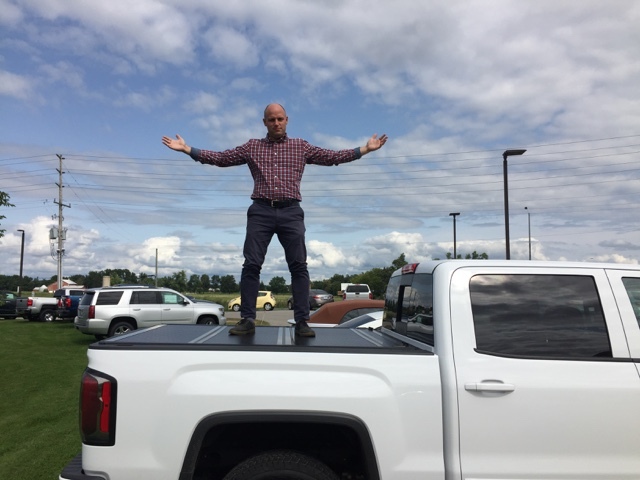 I have been following Jerry Thibeau, founder of Phone Up Ninjas since 2009 where we met on the infamous DealerRefresh Forums. Jerry was the kind of guy that would help on any issue even if it had nothing to do with padding his own wallet…my kinda guy. Why should dealers care about Phone Training? Its 2012 right? The game has changed it is all about email, text, Website Chat right?? Jerry provided me with some interesting stats that will give your management team a reason to invest in phone training. Check it out. This is taken from Page.4 of Jerry’s training manual. I had to leak this page to give readers an official State of the Union. 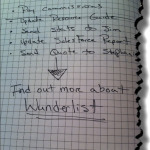 80% of your phone traffic will buy within 3-5 days. 90% will buy within 10 days. 76% of your customers will call before the come in. 85% will visit the internet when shopping for a vehicle. 50% of your appointments will purchase a vehicle at time of appointment. 86% of your customers will purchase something other than what they inquired on. In Jerry’s manual you will also learn about some scary statistics of the way dealership sales staff are handling calls. I have done some pretty extensive sales training in my day and I can say that this manual was not a review. It has been awhile since I was on the phone in the dealership and I would have killed to have something like this to follow. Every dealer needs to go out and get a few copies of Jerry’s manual. I am in no way affiliated with this product and do not receive a commission. I want Dealer Geek Nation to be ready for war when those sales calls come in and I’m confident this is going to help drastically. Please use the comment section below to review this training manual. 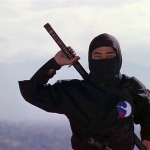 Why your dealership should have the phone ninja mystery shop you!